There are many potential downsides and hidden issues within a donation this large, from this person, to this institution. 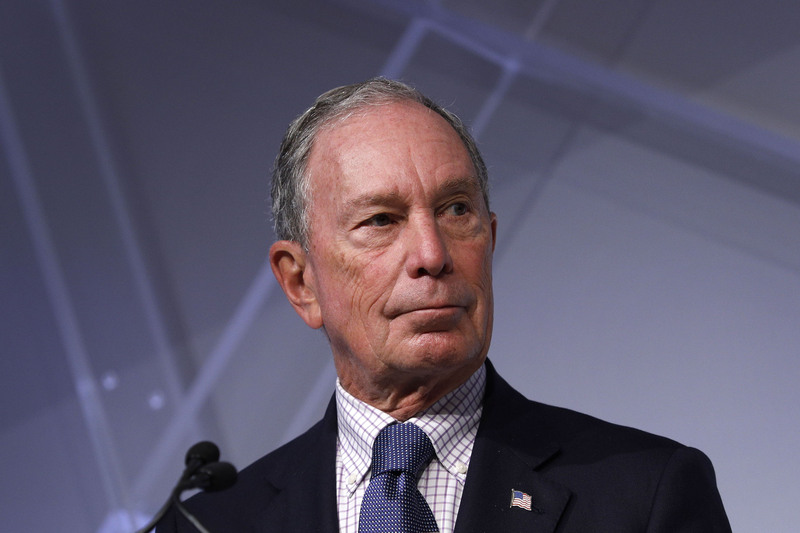 Michael Bloomberg donated $1.8 billion to Johns Hopkins on November 20 — a gift as widely discussed as it is groundbreaking. Bloomberg was already the largest benefactor in the history of higher education because of a $1.1 billion gift to Hopkins in 2013, and now he’s continuing his march into legend with one goal: that Hopkins, his alma mater, remains need-blind for as long as possible. Being need-blind means that Hopkins does not take a student’s financial situation into account when considering them for admission. The school has been need-blind for a long time, and Bloomberg’s gift relieves the administration of that status changing anytime soon. Bloomberg designating that much money specifically towards financial aid — allowing the University to replace loans with grants, offer more generous aid, and make the campus “more socioeconomically diverse” — is fantastic in some ways. It proves Bloomberg’s generosity and understanding that money only matters if it’s going to the right place. His donation will hopefully be used for everything Bloomberg wants it to be used for. Hopefully, the money will mean that more students can go through life at Hopkins without the added stress of affording their education. But there are many potential downsides and hidden issues within a donation this large, from this person, to this institution. Giving students more ability to afford Hopkins’ $53,740 per year cost — whether the financial aid office really made Hopkins affordable for every student before the $1.8 billion gift is a story for another article — doesn’t erase the disparities different students face before getting to Hopkins that make admissions more or less likely. The money could go elsewhere. A donation of this size to an institution that helps connect more lower-income high school students to the resources necessary to achieve the test scores, grades, and more needed to get into elite schools, for example, seems just as crucial. Ensuring that more students can afford an education that opens doors and changes lives is incredible. Hopkins did all of that and more for me. But there are many steps that precede coming to Hopkins that Bloomberg’s donation does not consider. And, eliminating financial pressure doesn’t necessarily mean the school will become any better an environment for physical or mental health. Hopkins is a pressure cooker — and for that part of life at school to change, the university needs a paradigm shift that goes beyond better financial aid. But Bloomberg’s donation does mean that more students will be able to graduate without the familial and personal debt many people in my class, and those who graduated before 2018, incurred throughout their four years. More students will be able to accept job offers in fields they love but that might be lower-paid, without the pressure of needing to pay back loans immediately. More students can follow their passions, or take time to travel after graduation, or simply be able to live independently much sooner. More students will be free of debt. No one really tells you that post-grad life revolves around money in ways that are different than you expect. You’re making money, you have different expenses, it’s natural — but for many, student loan debt is a crushing reality that they are relatively unprepared for. I didn’t discuss loans frequently with friends at Hopkins because they are intensely private and everyone has a different story. But I know that they are hanging over many students’ heads, and an absence of loans would have allowed many people to make vastly different post-grad decisions. No one tells you, either, that post-grad life can be intensely lonely. You identify with being a student for so long, and at Hopkins probably love the label, that having student status ripped out from under you provides a kind of identity crisis that is underrepresented and devastating. All of a sudden, you don’t have friends in the same way you used to, physically and emotionally close. You don’t have the routine that became so familiar over four years. You don’t have all of the little nuances of life at Hopkins that gave you reprieve from the intensity of school. If you’re living at home, you might feel isolated. If you’re wrestling with student debt, you feel an entirely different form of stress. Bloomberg’s donation means at least one part of post-grad life will be different, making it an easier adjustment for more graduates. As someone who had a more than difficult time adjusting to being an adult (six months later I finally feel like myself again! ), this is a welcome and appreciated change, even if it doesn’t affect me directly. Bloomberg’s donation is complicated. Even though it’d be easy to say “I wish he had given the gift while I was there!”, such a nuanced gift requires a nuanced response. Ultimately, his gift will help more people walk away from Hopkins unchained to debts they must pay back, which compounds the effects of post-grad life in immeasurably positive ways. That’s a meaningful and notable change. But I’m still thinking about what this means for me, my classmates, and Hopkins. His donation is really just one step of many that need to occur before higher education, especially at elite schools, is truly equalized. It’s also really just one step of many that need to happen before Hopkins can be a healthy environment before, during, and after graduation. Jacqui Neber is a recent graduate of the Johns Hopkins University Writing Seminars. She spent all four years at Hopkins on The News-Letter, the school's independent and incredible student paper, and worked in a variety of editor and writer roles. As a senior and the Opinions Editor, she wrote pieces that reflected parts of Hopkins' toxic culture that permeated the student body without ever being openly discussed. She is currently the Executive Assistant to the Editor-in-Chief at WhoWhatWhy, an investigative news organization.